A “complexly decaying” World War II “or Korea” era VA hospital and grounds whose central building is now “stripped of equipment and copper wire, defunct” • a.k.a. 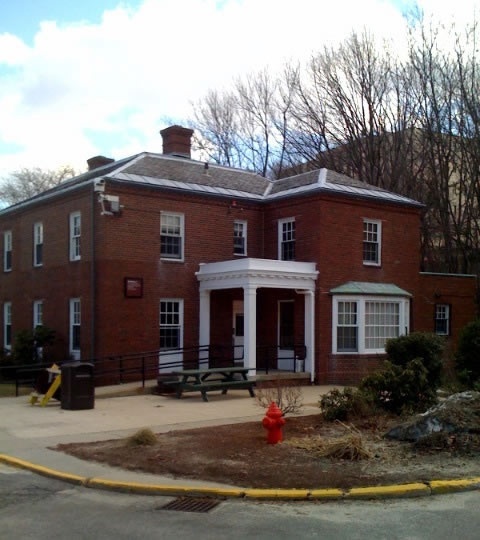 Enfield Marine VA Hospital Complex • site of Ennet House • managed by federal “Veterans Administration,” it “stays solvent” by leasing out smaller buildings on-site to “state-related health agencies” • “resembles seven moons orbiting a dead planet” • cf. Brighton Marine Health Center.